Daniel W. Hardy was one of the foremost ecclesial theologians of the twentieth and twenty-first centuries in the English-speaking world. 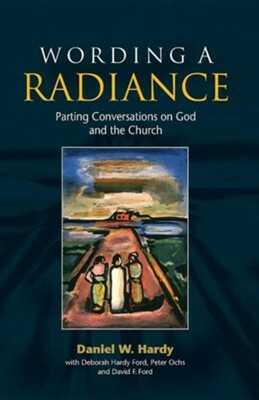 'Wording a radiance' is a theology of the Spirit and of the Eucharistic foundations of the Church. It is also the last testament of a great ecclesial theologian, and the editors present his theology in a manner that honours its character as testament. They situate his theology in the context of the last year of his life, which included a spiritual pilgrimage to the Holy Land and his conscious effort to dictate a brief theology as his parting words to the Church and the academy. I'm the author/artist and I want to review Attracted By God's Light: A Parting Theology.